Let me start by saying that nothing can beat airbrush foundation. The result is the best of the best. It looks fantastic and feels fantastic too (actually you don't feel anything on your skin). I thought I would make a tutorial on how to do your foundation using an airbrush system with an airbrush gun. (I do not have nor do love in air pod system). 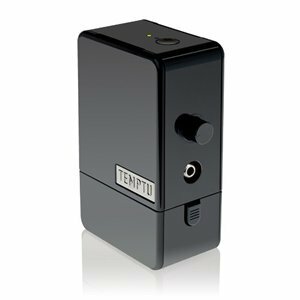 The airbrush system that I own is the TEMPTU PRO AirTM System. Yes it is a very expensive airbrush system but it's also one the best on the market right now. I will be doing a review on it later on this blog, so stay tuned for that ! The products that I'm using are all S/B products (Silicone based). I tried water based ones but I didn't like them as much as I like S/B ones. The result is much more natural with S/B products at least for me. (and I never tired Dura products so I can't tell you about them). Don't forget to match your foundation to your chest's colour ! No white head&neck and darker body ! And if you are a little bit red because of sunburn like my model, find an area that shows the actual real tanned colour of your skin. Don't try to match your foundation to the redness of your skin.